“I love the rain the most, when it stops”, sings the sultry Joe Purdy. I couldn’t disagree with him more. I adore the rain. However, these rainy days are soon to fly the coop for good. And we will be left to greet the sunshine and summer solstice with open arms and pale skin. When I think of summer, one of the first things that comes to mind, are farmers markets. I get excited just thinking about the food to be sampled, live music to listen to, jewelry to ogle, and meals to be made from their ingredients! Utah has an abundance of farmers markets, which have gained quite a bit of momentum in the past five years. To find one near you, check out this website. 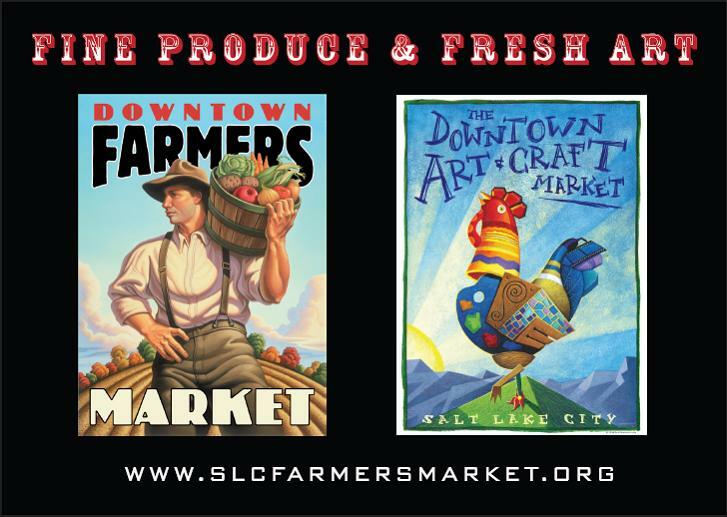 For those of you in the Salt Lake area, the downtown farmers market starts TOMORROW from 8:00-1:00! So gather your cash and reusable bags and head on down to enjoy the sunshine, delicious food, and local vendors. They are held weekly at Pioneer Park: 300 South 300 West, SLC. Street parking is limited. However there is a parking garage directly across from the park on the west side of the street, that a lot of people overlook. It’s the building with the large “Parking” sign on the front.